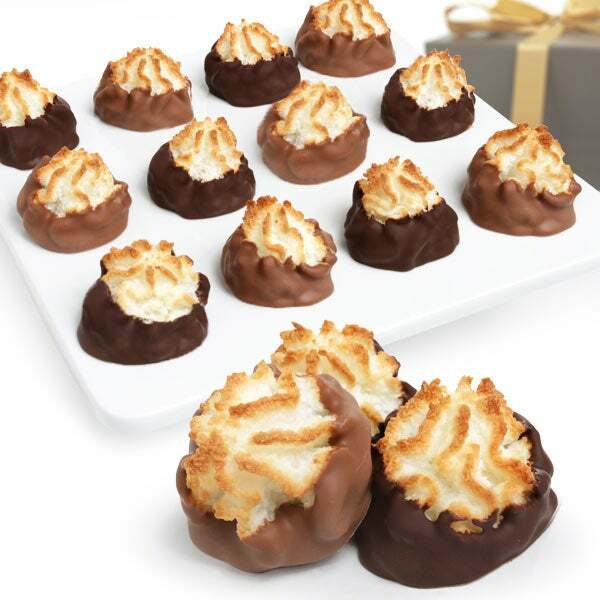 Belgian Chocolate Dipped Macaroons is rated 5.0 out of 5 by 3. Rated 5 out of 5 by Marei from From New Zealand to Denton TX I sent these to a friend for her birthday, she told me they were "very delicious " and she loved them... except there were no white ones. I ordered these online from NZ, was a very easy process and lots of nice things to choose from, wish I could have tried one. Rated 5 out of 5 by Anonymous from I received these for my birthday, they are to die for! A truly decadent treat of expertly baked crisp, light macaroons that are hand-dipped into luxurious milk and dark Belgian chocolates.